Sometimes when I host a party I don’t want to serve a meal because we just don’t have the space to seat everyone at once. When I’m hosting a big crowd I often opt for serving finger foods instead of a meal. I always try to use the easiest of recipes and food that will fill people up and make them happy. 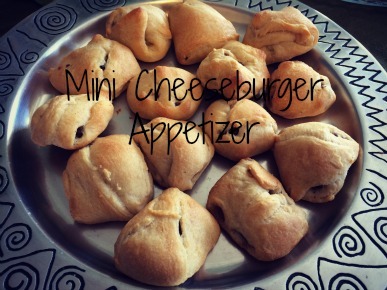 My mini cheeseburger recipe is always a hit at parties, and they require very little time to prepare. 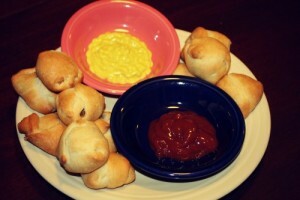 I serve them up with ketchup and mustard for dipping for a hearty party appetizer. 1. Cook beef until no longer pink and then drain. 3. Open Crescent Roll dough and cut each section of two rolls (triangles) so that there are four triangles instead of two. 4. 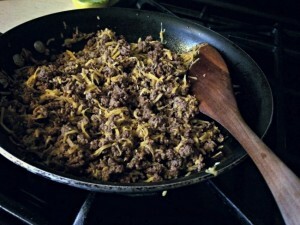 Spoon about a tablespoon of beef mixture into the center of each triangle. 5. Fold sides of triangle over the meat mixture and pinch edges closed. 6. 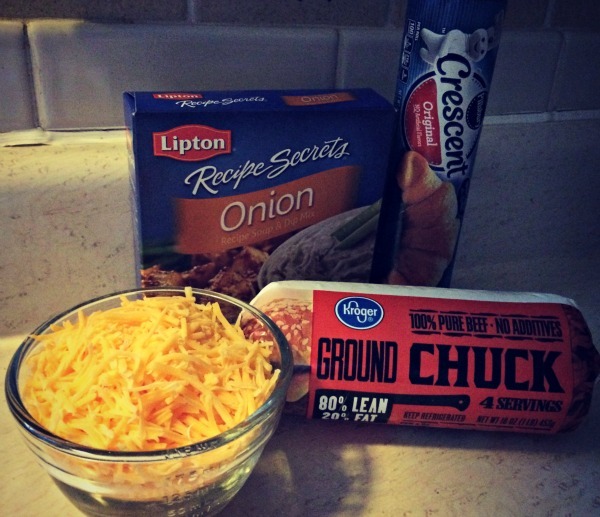 Place rolled mini cheeseburgers onto an un-greased cookie sheet and bake at 375° for 10-15 minutes, until the dough is golden brown. Serve with ketchup and mustard, or if you like pickles on your burgers use a toothpick to stick a pickle on top of the mini cheeseburger! 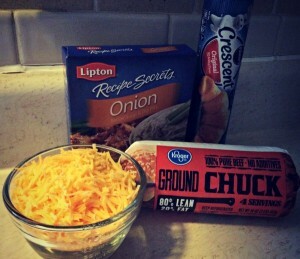 *** I do the first two steps ahead of time and put the meat mixture in the fridge or future for parties. This way, when the party is getting ready to start all you have to do is assemble the appetizer and cook them! Cook beef until no longer pink and then drain. 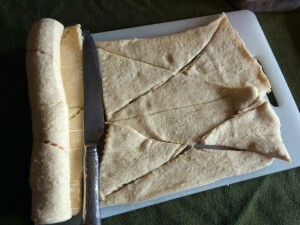 Open Crescent Roll dough and cut each section of two rolls (triangles) so that there are four triangles instead of two. Spoon about a tablespoon of beef mixture into the center of each triangle. 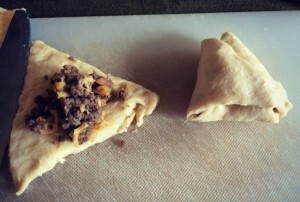 Fold sides of triangle over the meat mixture and pinch edges closed. Place rolled mini cheeseburgers onto an un-greased cookie sheet and bake at 375° for 10-15 minutes, until the dough is golden brown.